2) Get an extra entry for liking The Beauty of Life on Facebook and leaving a comment on the post about this giveaway telling me why you want to win this prize pack. If you're already a Facebook fan, be sure to leave this comment for your extra entry! This giveaway ends on Thursday, August 2 at midnight. One winner will be chosen AT RANDOM on Friday, August 3. Maximum of THREE ENTRIES (one for each way listed above). Multiple entries will be disqualified. Giveaway is open to US residents only. Seriously this is just what I need. Wow, This is everything you could ever want! I'm already a FB fan :-) I'd love to win because I've never tried a Korres product and they are on my wishlist!!! Korres is one of my favorite lines of skin and lip products - how exciting! I would love to win this because I've only ever sampled Korres products; I've never owned any full-sized. I LOVE the wonderful ingredients! My skin would be so happy if I won this giveaway! Just finished a bottle of Korres wild rose + vit C sleeping facial. Would love to try more products from them. These giveaways are too cool! I would love to win any of these! I have never won a thing. I hope this month I am a winner! I love make-up and trying different products! I love Korres lip butters! I would so love to win,need a good thing to look forward too and I love Korres! What a great prize. 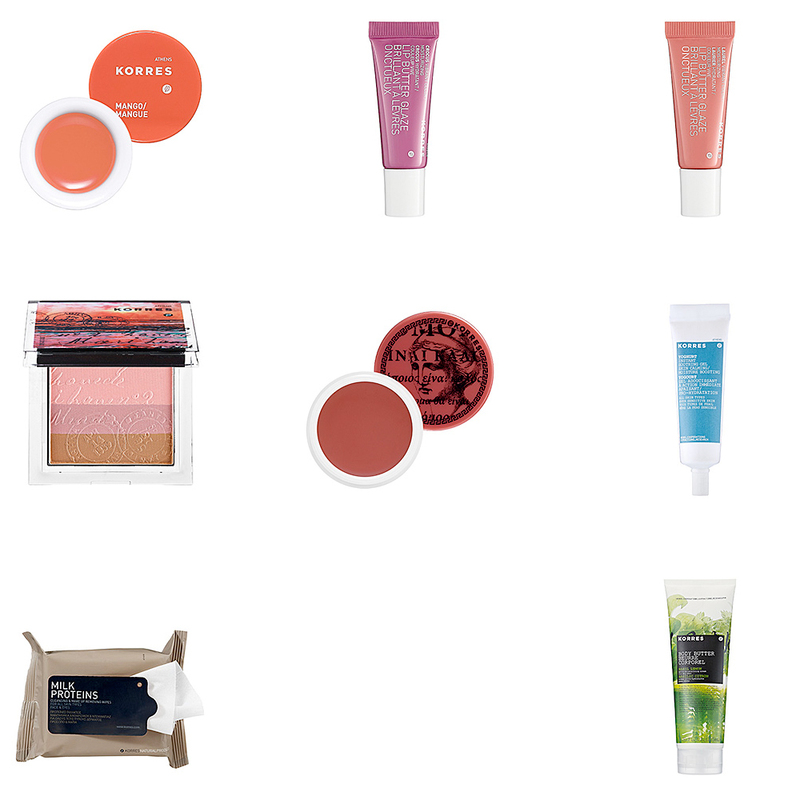 I've never tried Korres before, although I've heard amazing things about their lip butter. Oh please pick me :) 8 1/2 preggo and NEED a pick me up !! have never tried Korres but would love to! I love the variety of this package and the beauty its products deliver. following you on FB as Ana Karina. I left a comment on your fb post after “liking” you on fb! I've never tried Korres and have always wanted to give it a go! Please enter me in your giveaway, I LOVE Korres & I cant afford to buy it. My email is christilanae@gmail.com, following both on Twitter, thanks, have a great day!! This would be a great prize! I'm saving my money right now for a new suit so I've backed off on buying makeup. Job hunting! I would be ECSTATIC to win this! Crossing my fingers! I love trying new beauty products! I dont know if my first post went through, so I apologize if I post twice! Please don't disqualify me!! This looks great! I love the month of beauty! The prize pack sounds amazing! LIked on facebook and twitted. I've never tried anything by Korres, It's going on my list. Heard alot about this brand but never try it.Would love to win.Thank you! SO glad Daniella showed me your site! This is wonderful! Thank you so much for offering such lovely and generous giveaways. yay! I'm a fan on facebook too! Another great package! So many goodies! I've never tried Korres before, but I'd love to! How exciting! I have always wanted to try Korres! I love Korres so much, you have the best giveaways! I have their Guava Body Butter and it's just so amazing. Thanks!!! I completed all 3 tasks! Always wanted to try their stuff. All the butters in the collection sound luxurious. I've always wanted to try Korres. I love how soft and smooth body butters make your skin feel. I would love to win this. I've never tried Korres before, but they look like an amazing company. It would be awesome to win this prize pack. I've tried a few things from Korres but would love to try more! Thank you for the giveaway! Awesome giveaways all month and korres to boot..oh yeah! I left a comment on the FB post for this giveaway with Megan Duncan. i'd love ti win this for my girl! This is a WONDERFUL giveaway and I would so love to win.